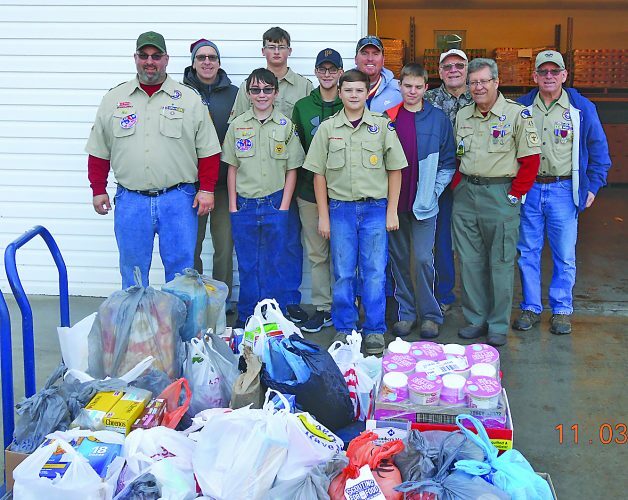 Courtesy photo Members of Boy Scout Troop and Pack 57 participated in the Scout Sunday service on Feb. 4 at Trinity United Methodist Church of Roaring Spring. Everyone greeted and handed out bulletins, some boys read Scriptures and swept the snow from the sidewalk/step, while others helped take up the offering. 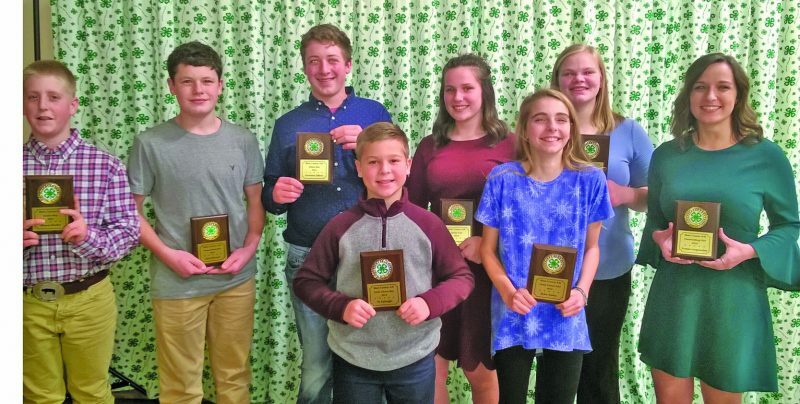 Members of Pack 57 are in the front row (from left): Blaine Sheehan, Christian Heuston, Jacob Heuston, Bailey Wilt, Kyle Gach, Eddie Laws, Collin Becker and Harrison Balantac. Members of Troop 57 are in the back row (from left): Michael James, Cody Becker, Joey Walker, Tyler Gach and Fhillip Balantac. 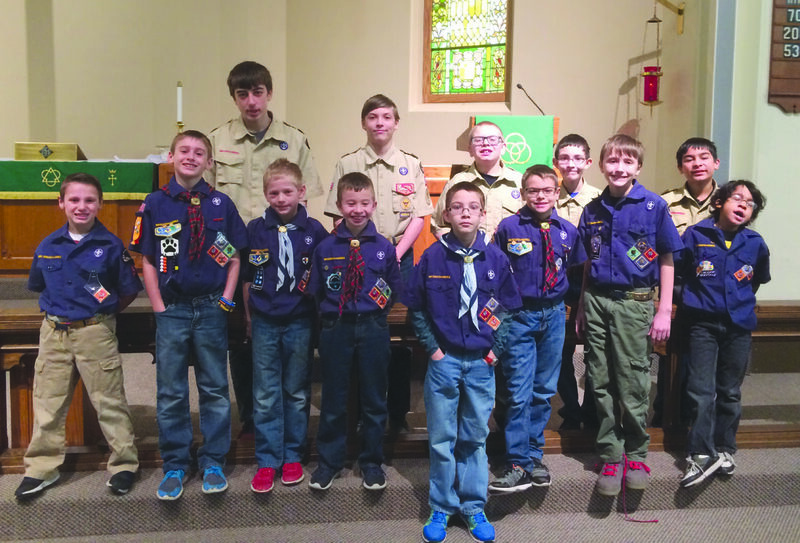 Members of Boy Scout Troop and Pack 57 participated in the Scout Sunday service on Feb. 4 at Trinity United Methodist Church of Roaring Spring. Everyone greeted and handed out bulletins, some boys read Scriptures and swept the snow from the sidewalk/step, while others helped take up the offering. Members of Pack 57 are in the front row (from left): Blaine Sheehan, Christian Heuston, Jacob Heuston, Bailey Wilt, Kyle Gach, Eddie Laws, Collin Becker and Harrison Balantac. Members of Troop 57 are in the back row (from left): Michael James, Cody Becker, Joey Walker, Tyler Gach and Fhillip Balantac.